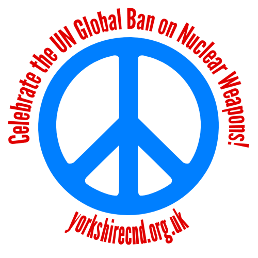 Come and join us at the Bradford Deaf Centre to find out how the global ban on nuclear weapons is changing the dynamic on international nuclear disarmament, and make plans with other local peace campaigners to encourage Bradford’s MPs representing our city to support a nuclear free world. On 7th July 2017, after a decade of work by the International Campaign to Abolish Nuclear Weapons (ICAN), an overwhelming majority of the world’s nations adopted a landmark global agreement to ban nuclear weapons, known officially as the Treaty on the Prohibition of Nuclear Weapons. The ban prohibits nations from developing, testing, producing, manufacturing, transferring, possessing, stockpiling, using or threatening to use nuclear weapons, or allowing nuclear weapons to be stationed on their territory. 69 countries have signed the treaty, and 19 have ratified it in their national parliament – when 50 have ratified it, it will come into force. Does the UK support the ban? Countries with nuclear weapons – including the United Kingdom – effectively boycotted the process, so now is the time to put pressure on our parliamentarians to express support for the ban. 60 MPs across the UK have already signed the ICAN Parliamentary Pledge, which commits parliamentarians around the world to work for their government to join the treaty, including five from Yorkshire. We are making plans to encourage more MPs across the county to sign the pledge and commit to working to further the ban, but we need your help. 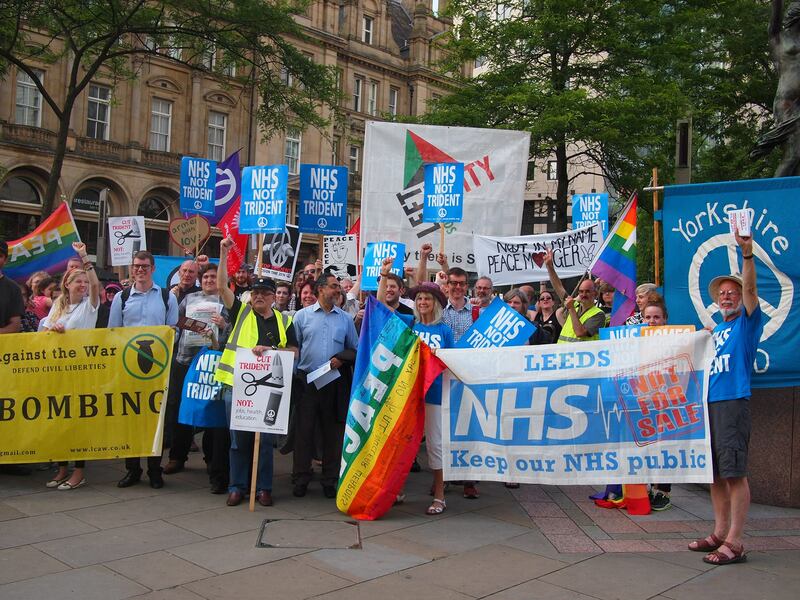 Several MPs in Bradford have previously refused to back Trident replacement, but are yet to sign the parliamentary pledge – come and find out how we can change that!